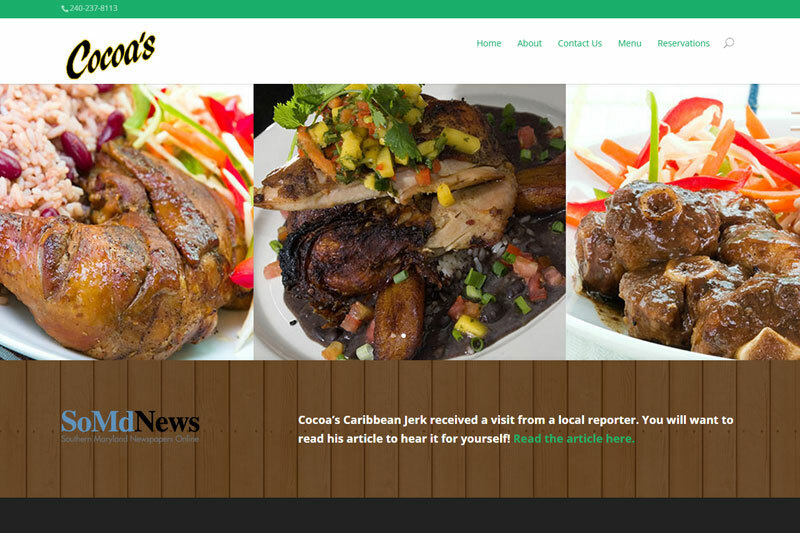 Cocoa’s Caribbean Jerk wanted a way to showcase their menu and connect with their customers online. This nice and cozy restaurant is “BEAUTIFUL& ELEGANT”, with the perfect atmosphere if your Craving Carribean Come to COCOA’S. The food is delicious the entertainments great…!!! GOD BLESS YOU ..!! Cocoa's Caribbean Jerk Overall rating: 5 out of 5 based on 6 reviews.